Whether you´ve played handball for years or never heard of the sport before, we’re a club for you! Handball is an exciting and great sport suited for everyone! Only two years after the club´s establishment in 2012, we were awarded Most Progressive Club of the Year, and have been growing in both numbers and spirit ever since! We are now classified as an official Scottish Student Sport and therefore take part in university tournaments in Scotland as well as all other places in the UK. We have a huge variety in abilities, ranging from players who have never played before to players with international experience. We have a great coach who is able to incorporate everyone into training sessions, and every player, no matter their ability will be offered to play games! Both our teams are part of the Scottish Student Sport league and the National Scottish Handball League meaning that there are many games ahead. We pride ourselves with our sporting success over the last couple of years. Our womens team are undefeated in the university league for the last three years, and our mens team have recently won the Shield competition in London. Despite sweaty training sessions, we are an incredibly social club and spend time at our sponsor pub after every Friday and Sunday training. We also offer a variety of other social events throughout the year. On top of all of this, you also have the opportunity to participate in coaching, refereeing and volunteering at a local school. 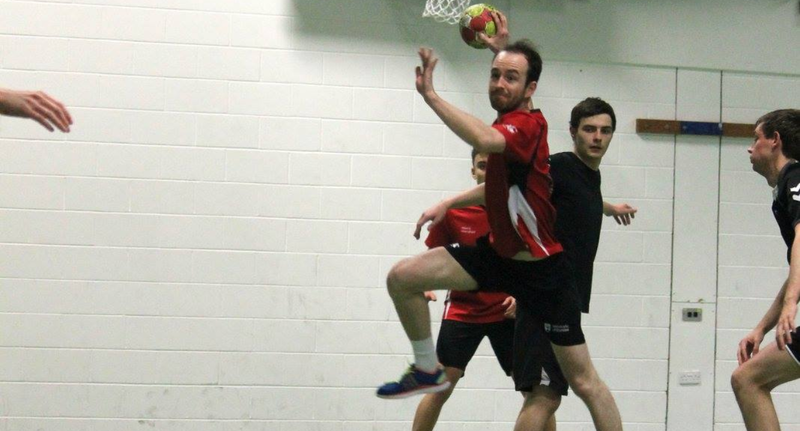 The handball club is a club for everyone, and we really hope to see you at training soon!